Explain the office/clinic policy on adolescent visits, including: acknowledging that the youth is a minor and so has specific legal rights related to consent and confidentiality; introducing the concept of fostering adolescent self-responsibility and confidentiality; reinforcing that this policy applies to all adolescents, and is not specific to their child. Validate the parental role in their child’s health and well-being. Elicit any specific questions or concerns from the parent. It is appropriate to direct questions and discussion to the youth while attending to and validating parental input. Invite the parents to have a seat in the waiting area, assuring them that you will call them prior to closing the visit. To learn more about asking a parent to step out, consider viewing the Physicians for Reproductive Health’s Standardized Case Video titled Asking a Parent to Step Out. 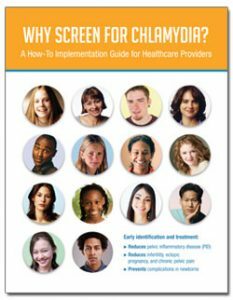 >Sexual Health: An Adolescent Provider’s Toolkit: Materials developed by the Adolescent Health Working Group to enhance provider’s ability to meet the sexual health needs of adolescents. Tips for Protecting Youth Confidentiality A resource from the Illinois Chapter of the American Academy of Pediatrics.